Washington - Tiger Woods, Rory McIlroy and world No 1 Dustin Johnson were among the top seeds and past champions to capture opening group stage matches on Wednesday at the WGC-Match Play Championship. The 64-player showdown at Austin Country Club uses a round-robin format to determine 16 players for a weekend knockout event to decide a champion, although it's a format untested until this year by Woods, who qualified for the first time since 2013. 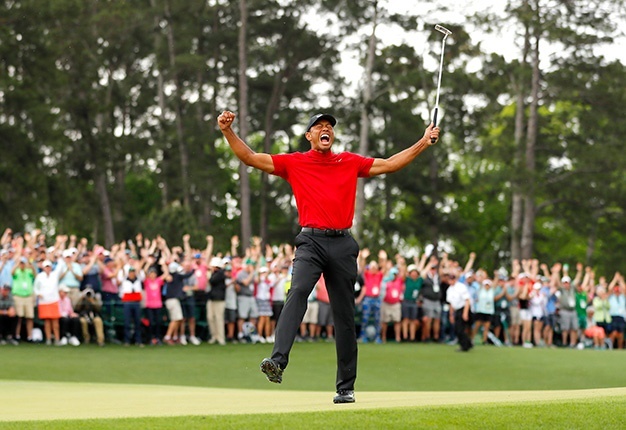 The 14-time major champion opened solidly but unspectacularly with a 3&1 victory over American 61st seed Aaron Wise, leaving 13th seed Woods atop his all-USA group after Brandt Snedeker and Patrick Cantlay halved. "We were both struggling a little bit," Woods said. "It was just trying to beat the guy in front of you and I was able to advance." Woods - who won the event in 2003, 2004 and 2008 - fell 1-down when Wise birdied the eighth, ninth and 10th holes. But Wise made bogeys at 13, 15 and 17 to hand Woods the win. "I was up early then down and up. There was a lot of ebb and flow in this match," Woods said. "It's not like we were playing great golf. Somehow I came out with the win." Fourth seed McIlroy, the 2015 WGC-Match-Play winner coming off a Players Championship victory two weeks ago, downed USA 64th and last seed Luke List 5&4. "I rode my luck a little bit," McIlroy said. "I had some missed shots but somehow got away with most of them. I played well. To birdie 13 and 14 to close the match out was nice. "I needed to respond to what he did and I feel like I did that well so that gives me a little bit of confidence going into tomorrow." USA top seed Johnson, the 2017 winner who captured last month's WGC-Mexico event, opened with a 4&3 win over USA 55th seed Chez Reavie. "I like the golf course. it sets up well for me," Johnson said. "It plays tough. The greens are tricky. They are firm. You've got to hit quality golf shots if you're going to get close to the hole." England's second-seeded Justin Rose downed Argentine 53rd seed Emiliano Grillo 2&1. "I was fairly steady. I didn't give away much, took care of the par-5s for the most part," Rose said. "Not electrifying golf but just good enough to get the job done." England's 10th-seeded Paul Casey, a two-time WGC-Match-Play runner-up coming off his second consecutive PGA Valspar crown just three days ago, beat Mexico's 58th-seeded Abraham Ancer 5&3. "I was trying to manage the energy," Casey said. "I was tired the past couple of days. Form and confidence are fine. I'm trying to get the energy back up. "That was one of the best matches I've played around this golf course." Also on his game was English 30th seed match-play wizard Ian Poulter, the 2010 champion who beat USA 48th seed Kevin Kisner 2-up to avenge his ouster from last year. "It was painful. I wasn't going to roll over like last year," Poulter said. "It was a match I wanted to win. Today was really important to come out strong and do whatever you need to do." In the "Group of Death" where only one can advance, Australian 12th seed Jason Day blew a 3-up lead after eight holes and lost to USA 52nd seed Jim Furyk 2-up while Swedish 37th seed Henrik Stenson beat USA 20th seed Phil Mickelson 2&1. Danish 50th seed Lucas Bjerregaard upset USA fifth seed Justin Thomas 3&2 in the biggest upset while two-time Masters champion Bubba Watson lost 1-up to USA 57th seed Kevin Na and reigning Masters champion Patrick Reed, the USA 16th seed, lost to USA 51st seed Andrew Putnam 3&2.